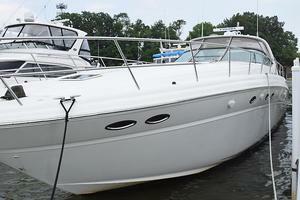 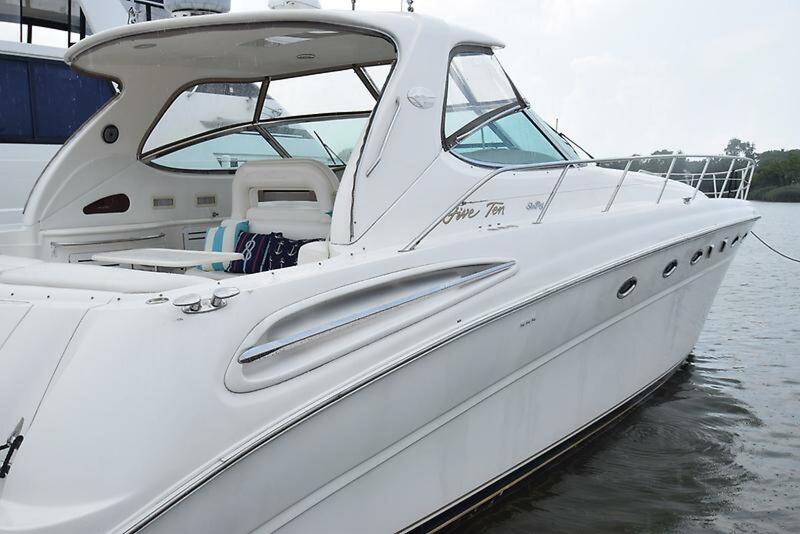 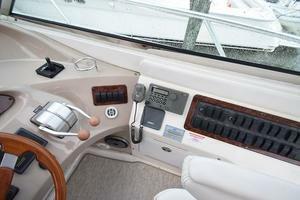 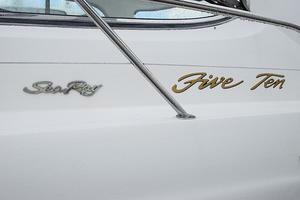 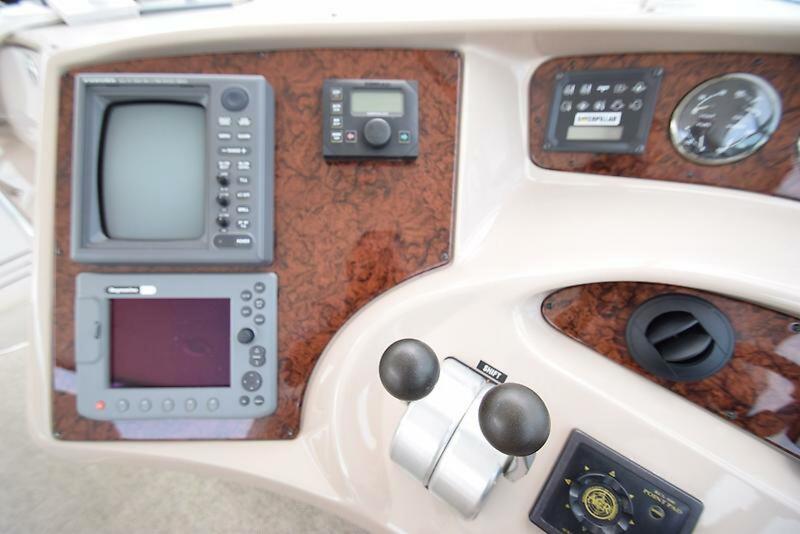 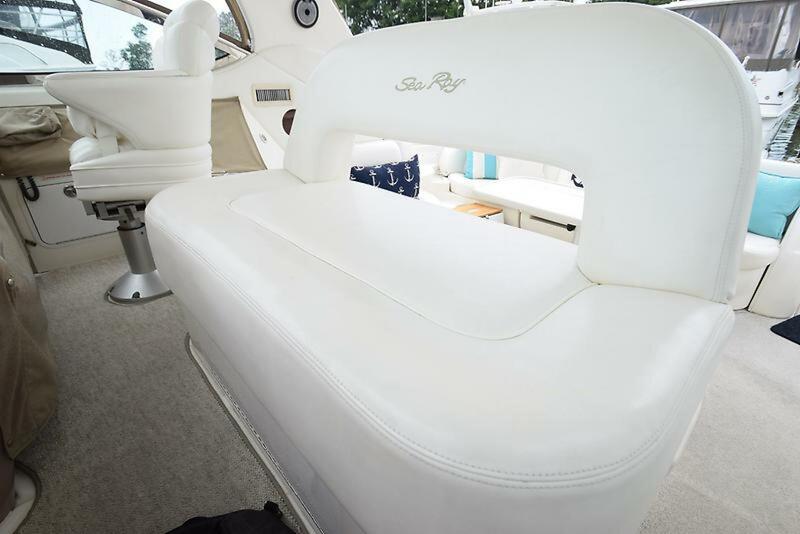 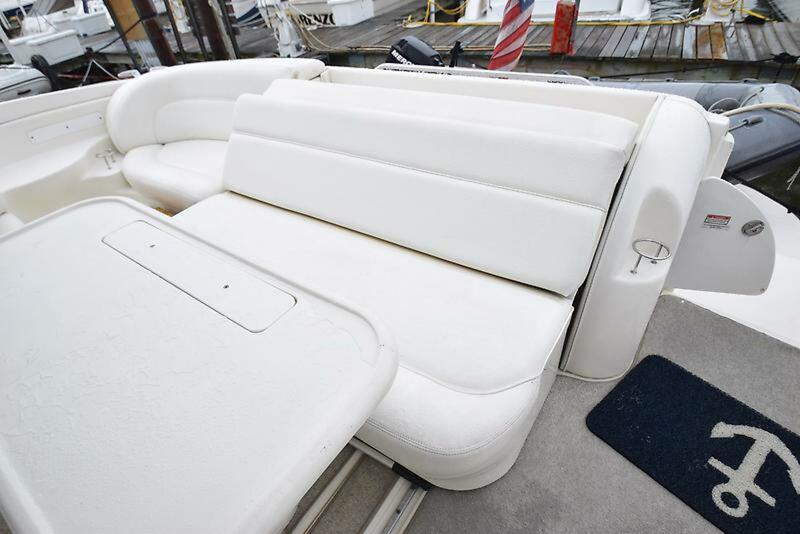 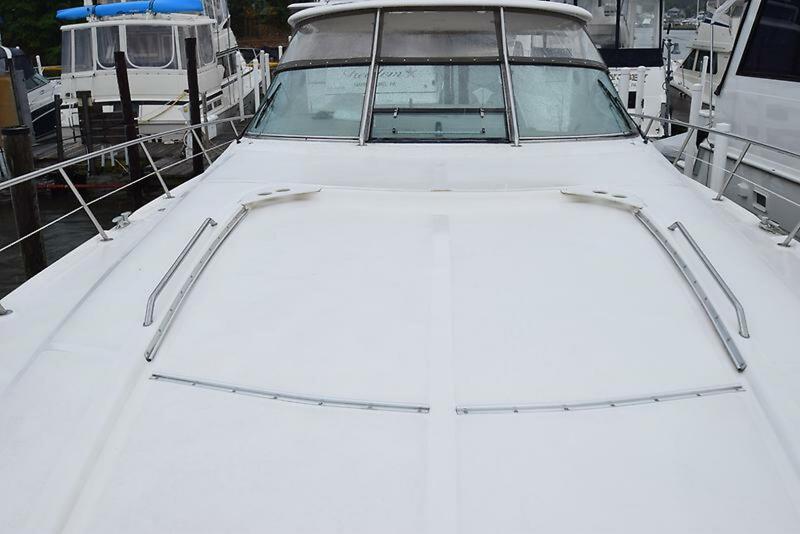 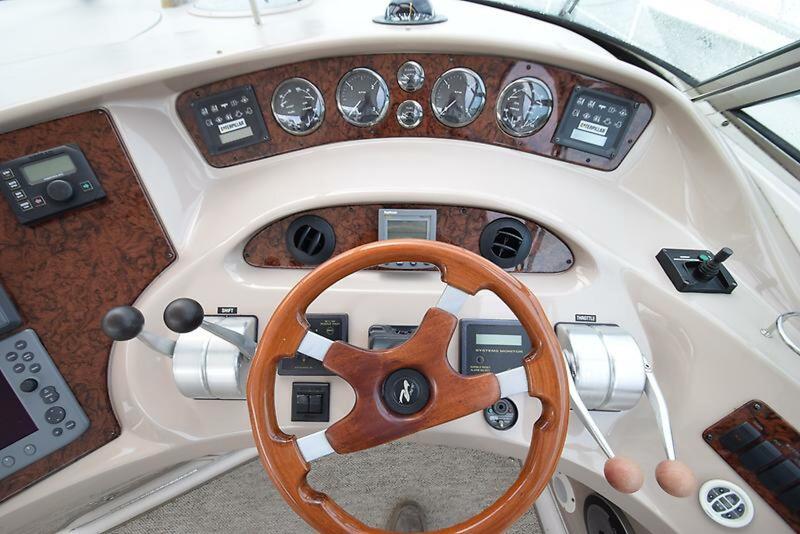 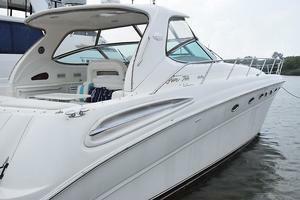 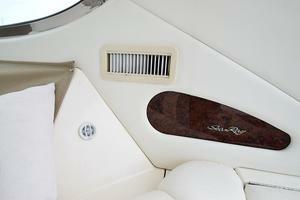 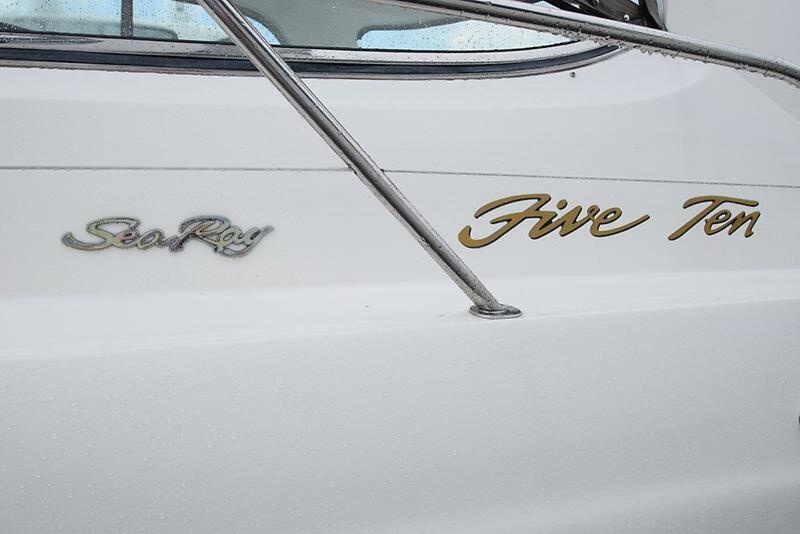 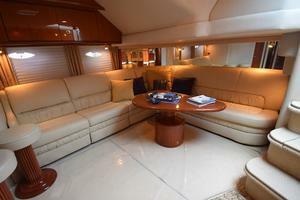 Introduced in 2000, the 510 Sundancer was impressive display of Sea Ray's world-class design and engineering skills. 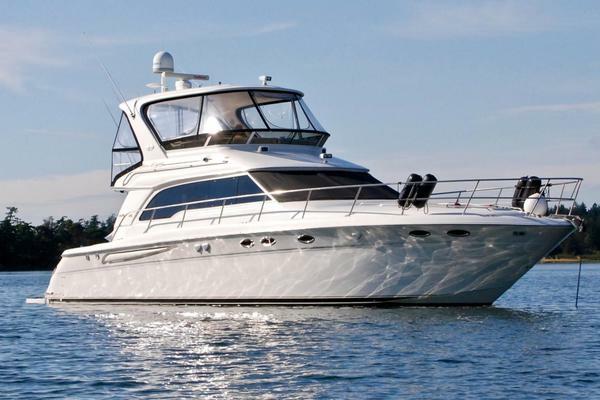 Unlike her narrow-beam European counterparts (Sunseeker, Cranchi, Pershing, etc.) with their slender interiors, the Sundancer's widebeam hull results in a surprisingly spacious interior positively loaded with luxury features. 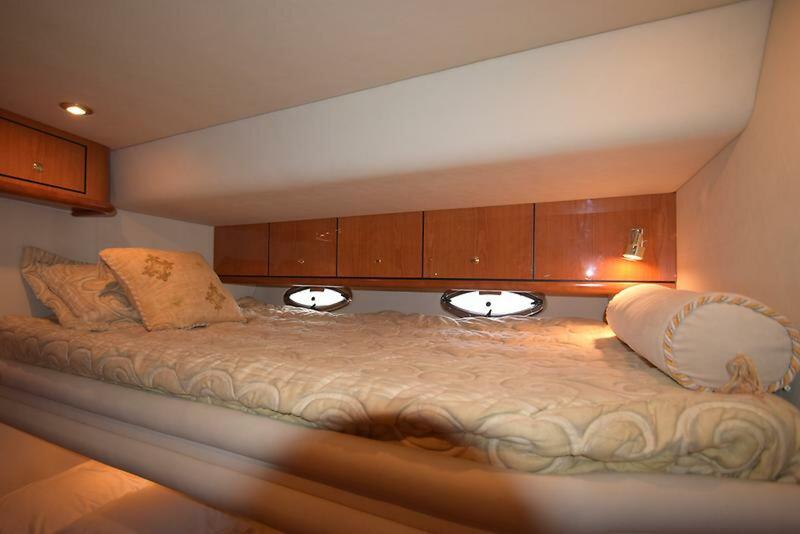 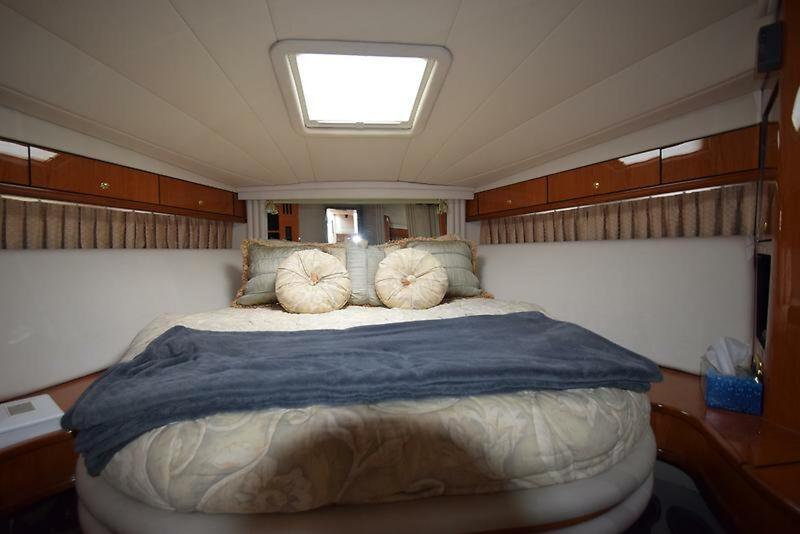 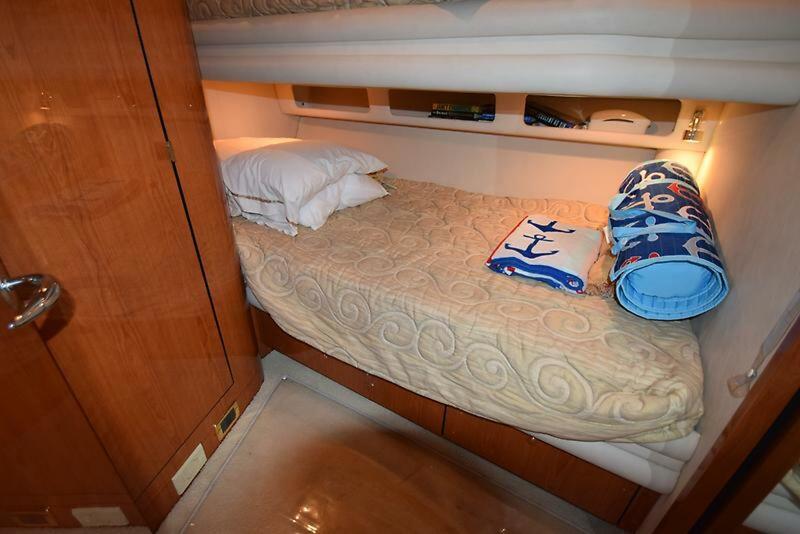 The two-stateroom layout is dominated by a vast main salon with high-gloss cherry joinery, deep pile carpeting, and a posh Ultraleather sofa with electrically operated slide-out bed. 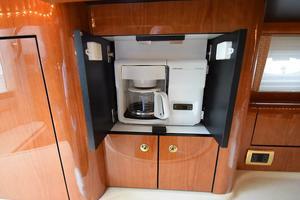 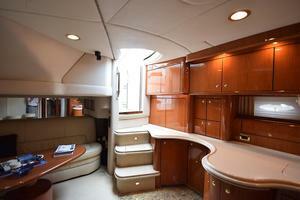 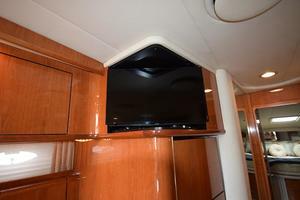 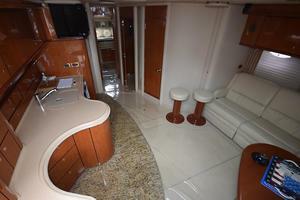 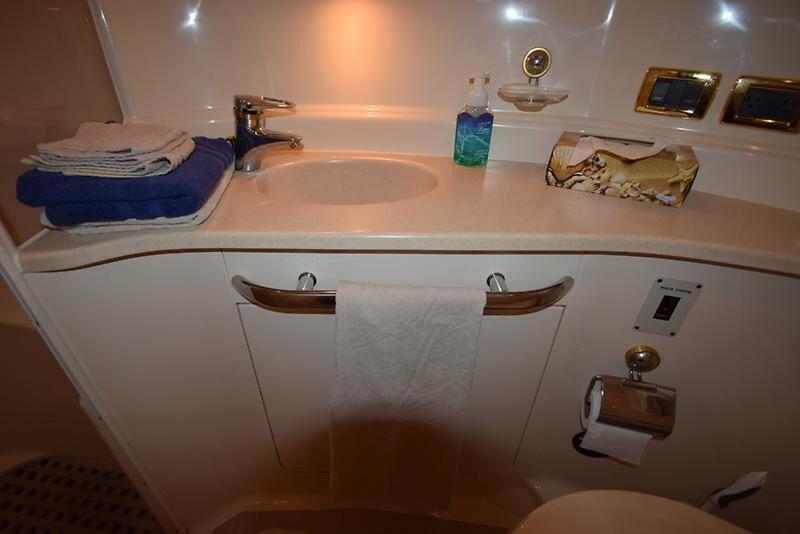 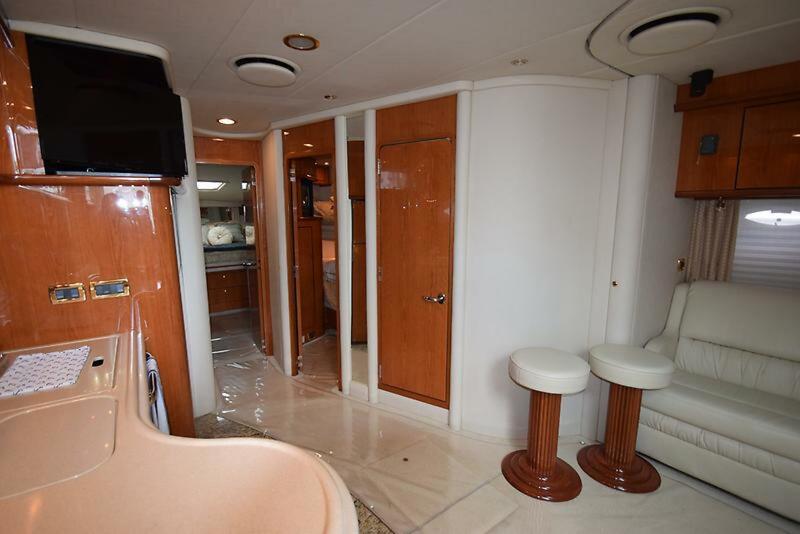 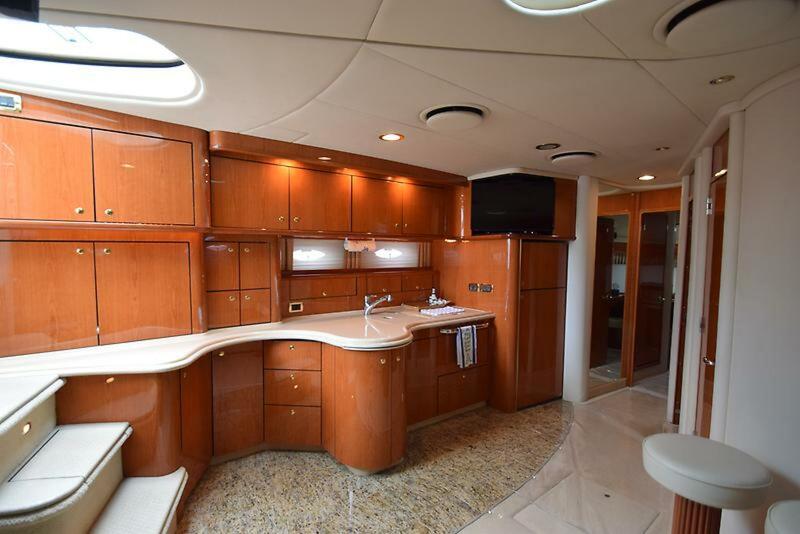 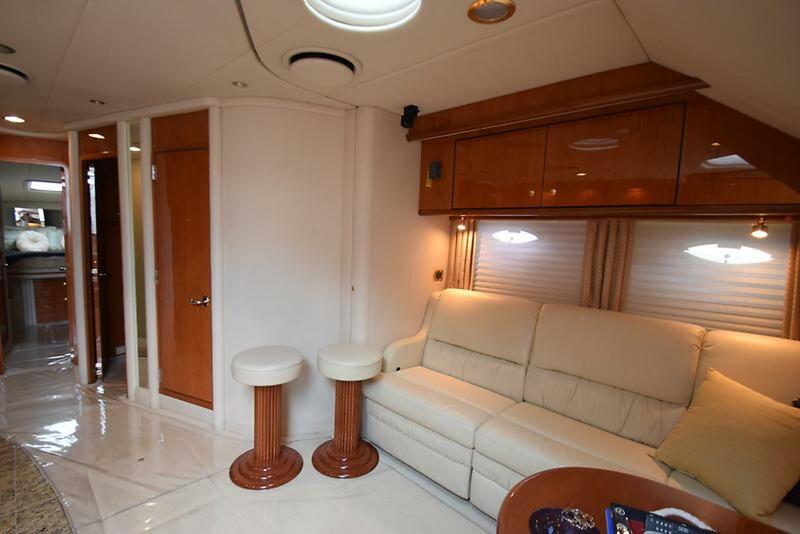 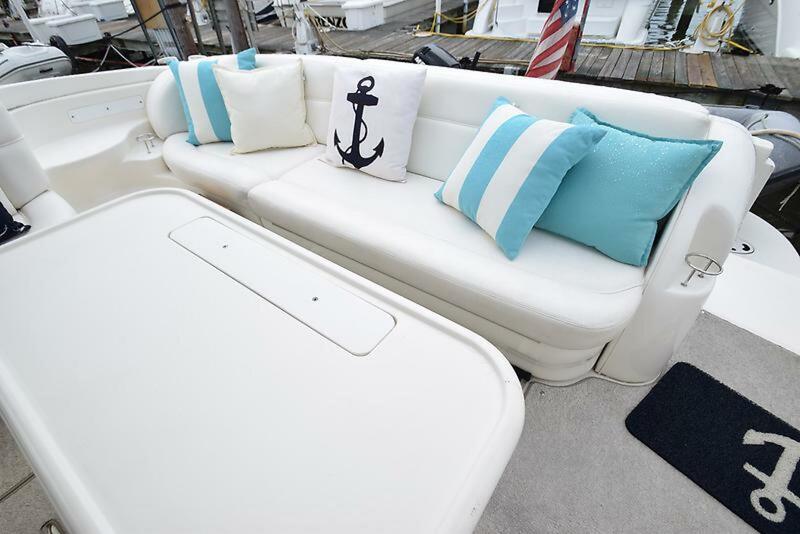 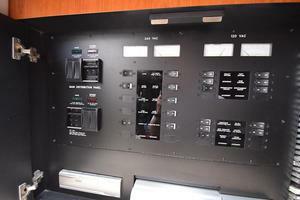 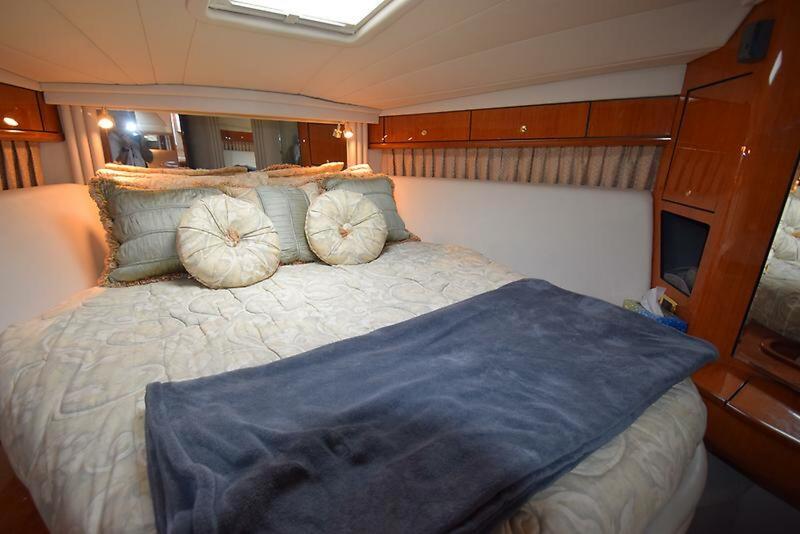 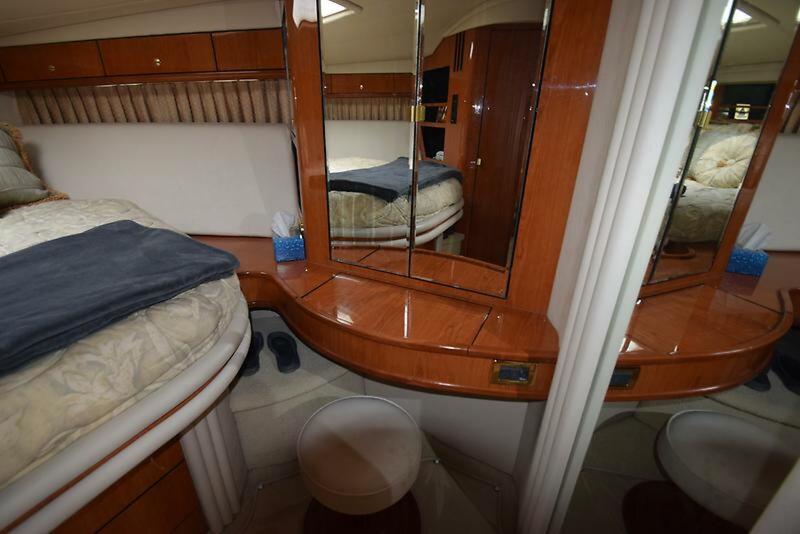 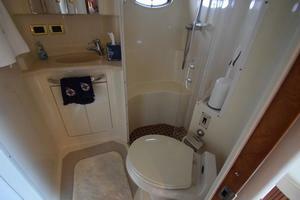 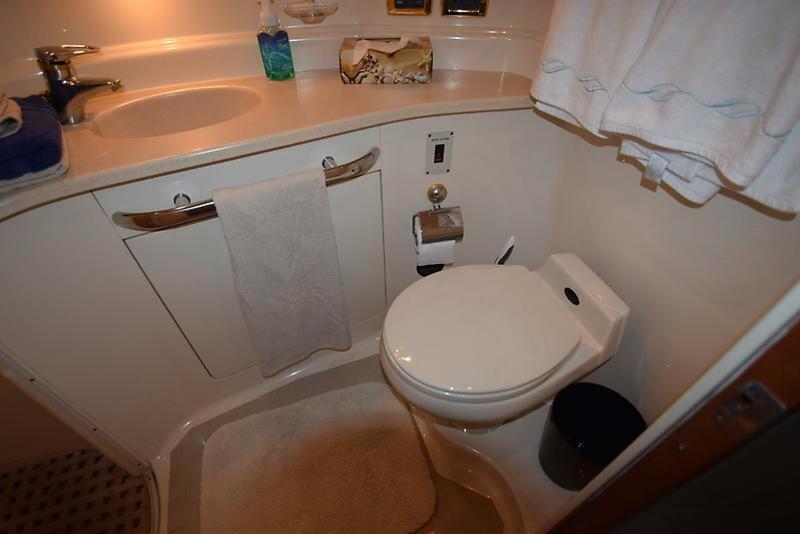 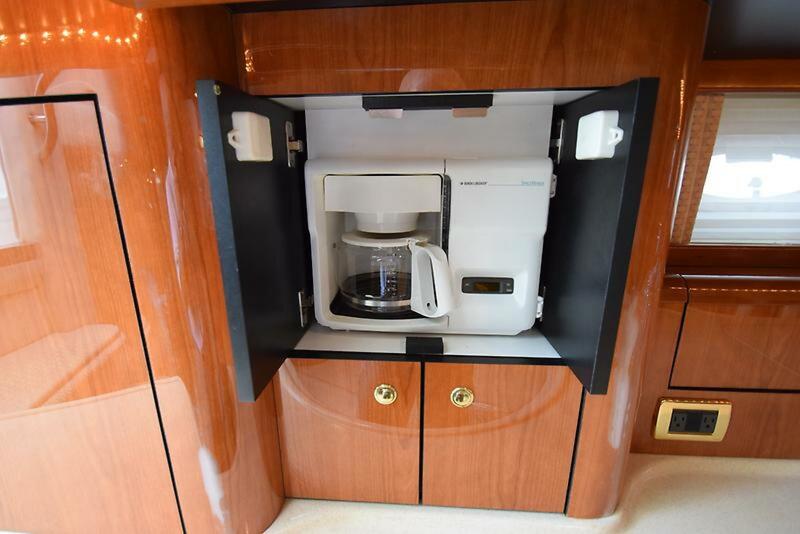 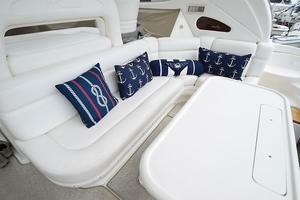 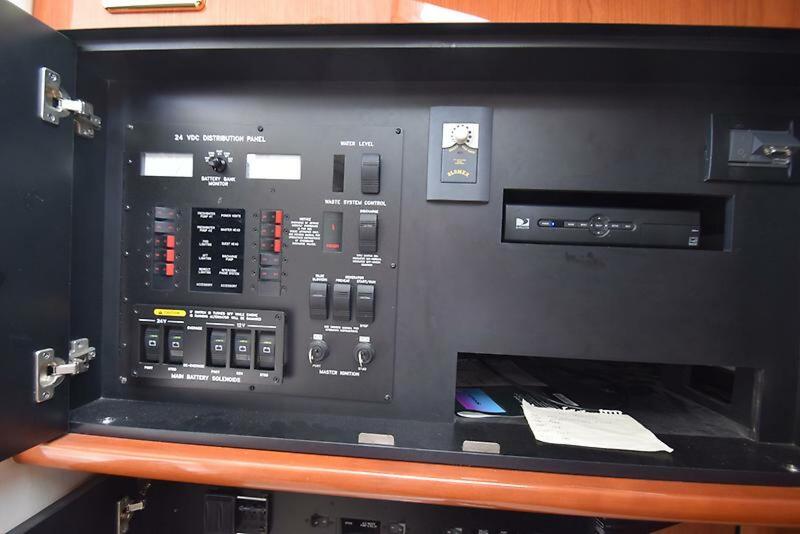 To port is a home-size galley with Corian counters, hideaway mini-bar and copious storage. 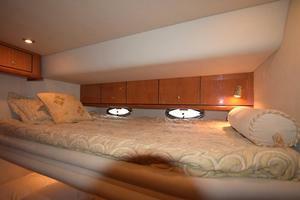 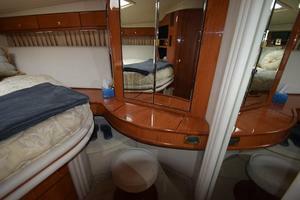 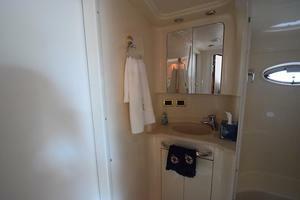 Forward, the large master stateroom features an island double berth, vanity with sink, and private en-suite head. 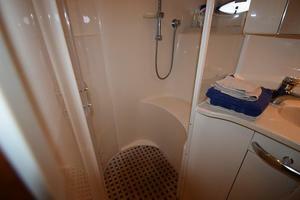 (Both heads have separate stall showers.) 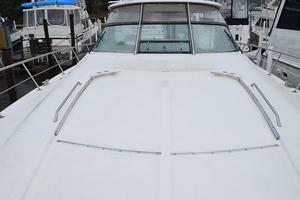 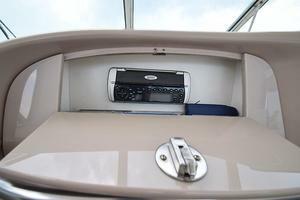 The cockpit, with its wraparound helm console, retractable sun pad and stylish hardtop, offers seating for a small crowd. 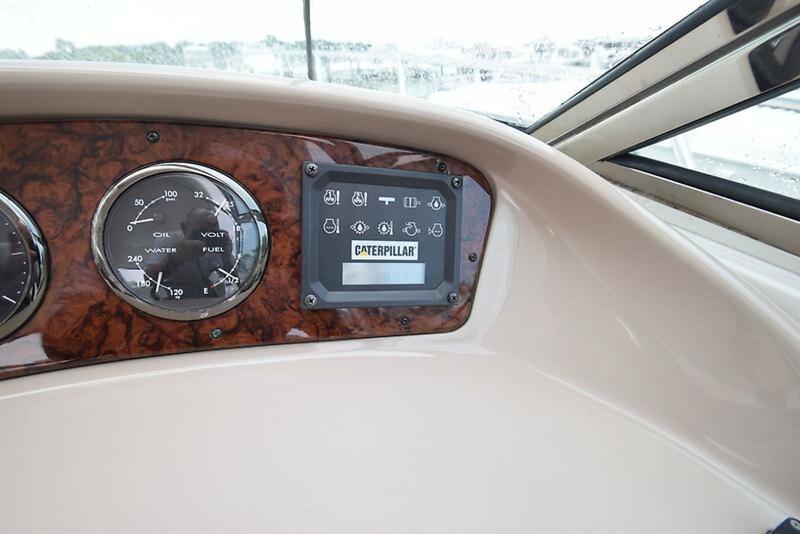 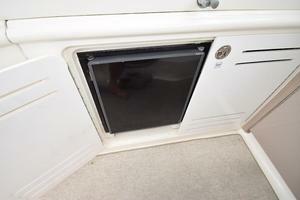 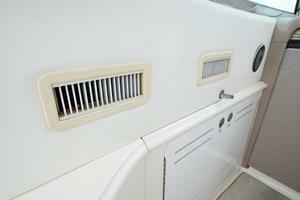 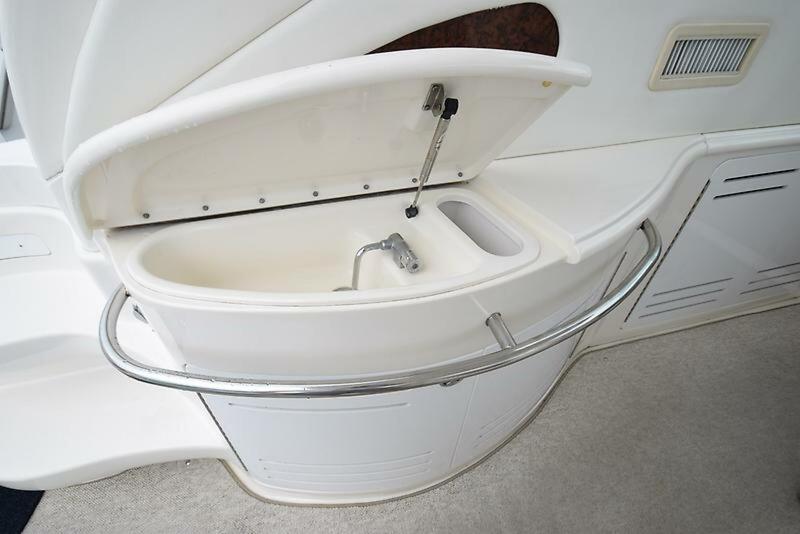 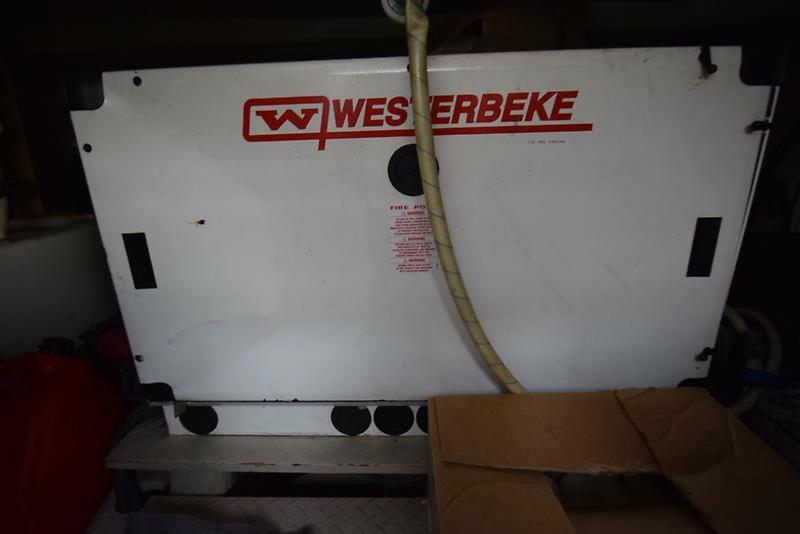 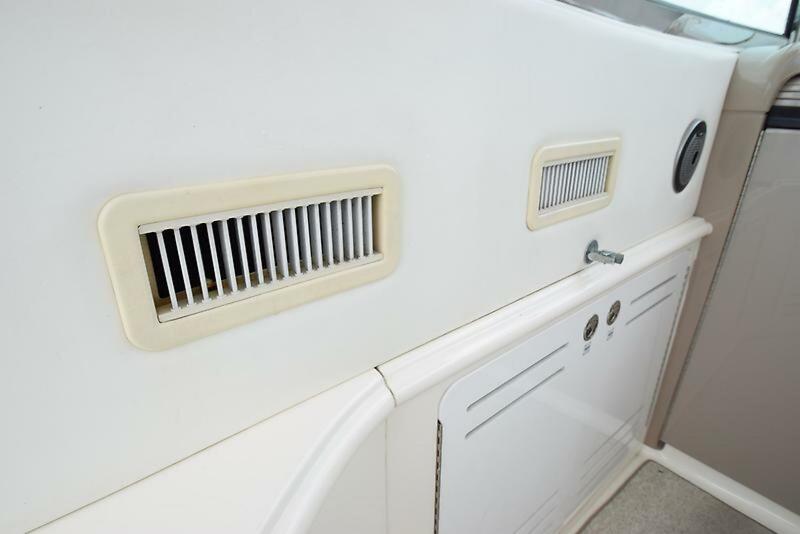 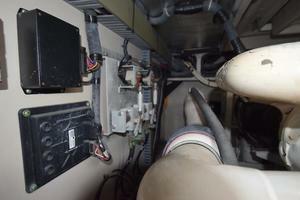 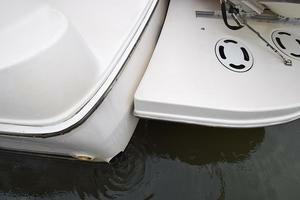 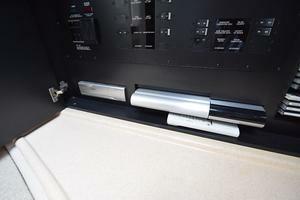 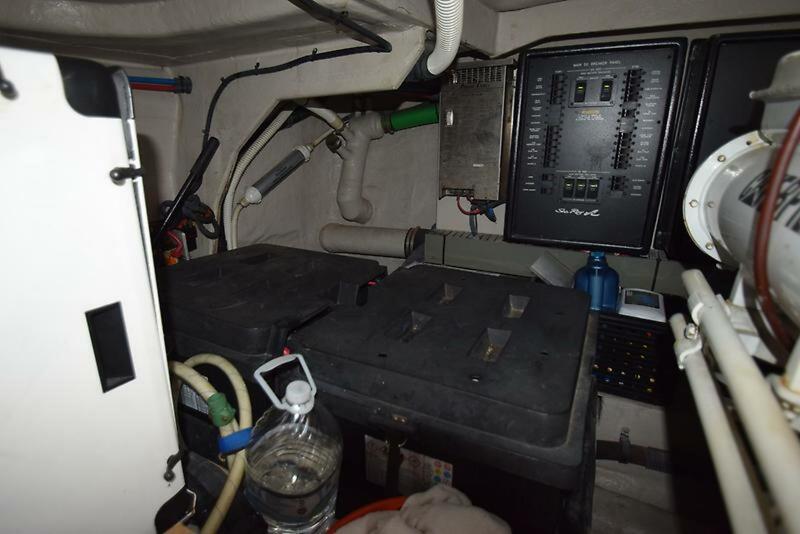 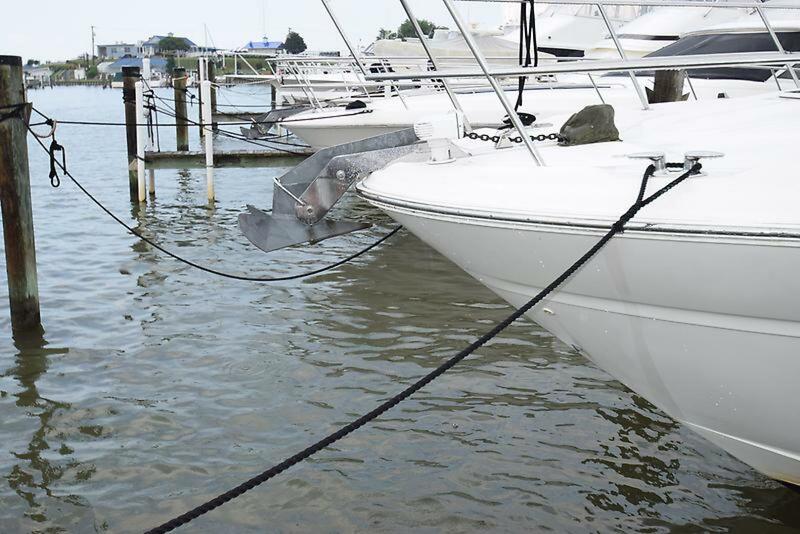 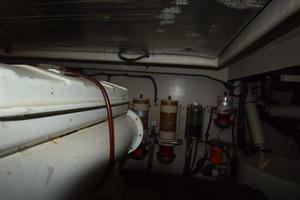 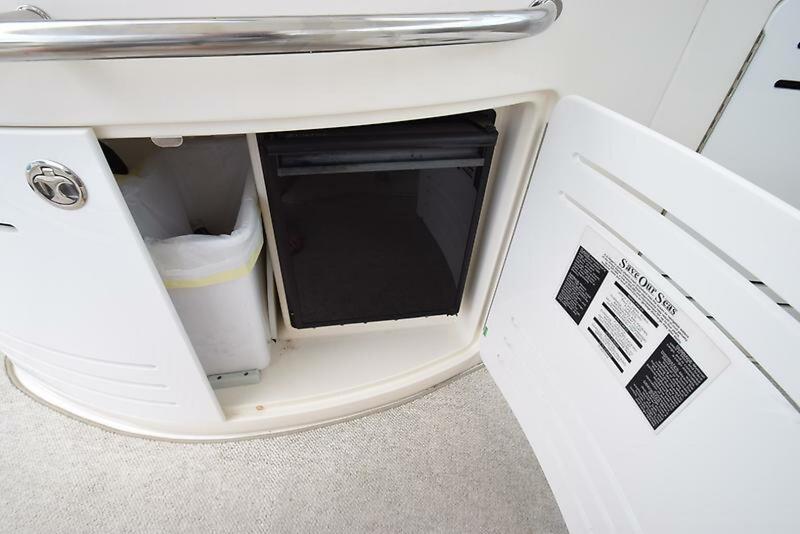 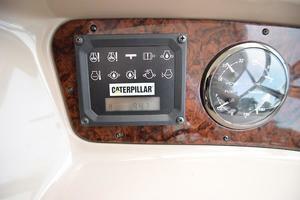 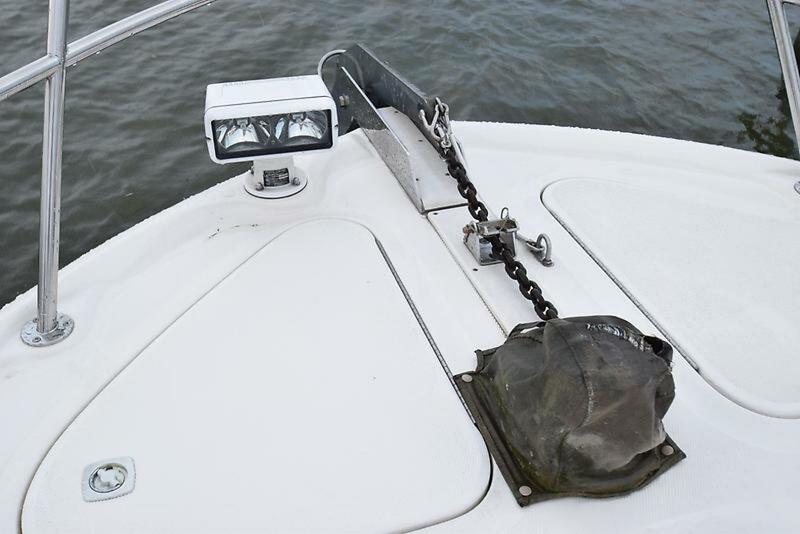 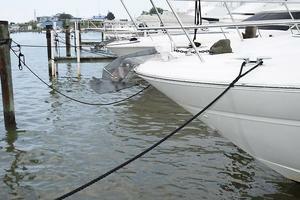 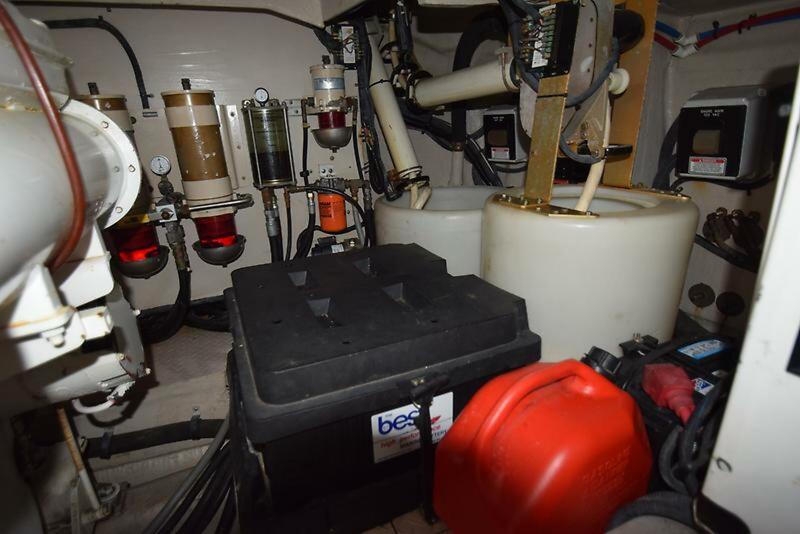 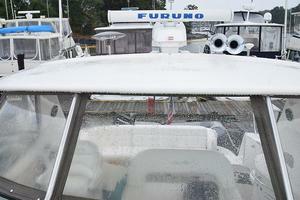 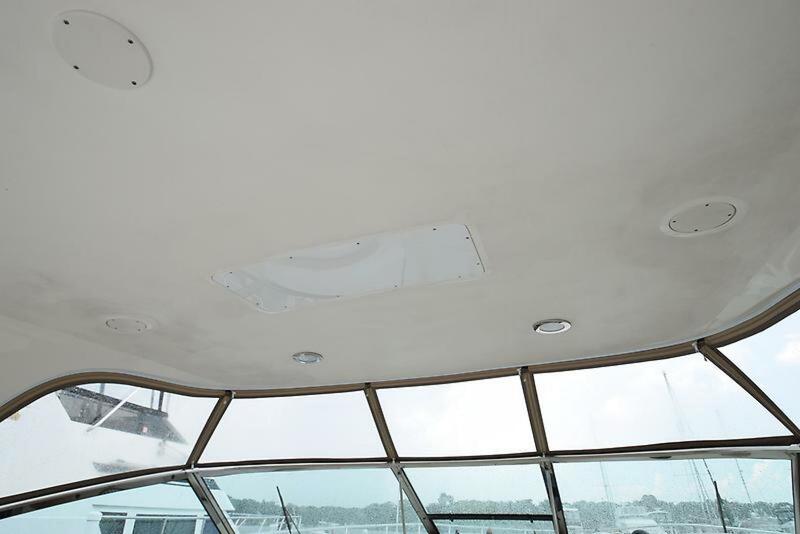 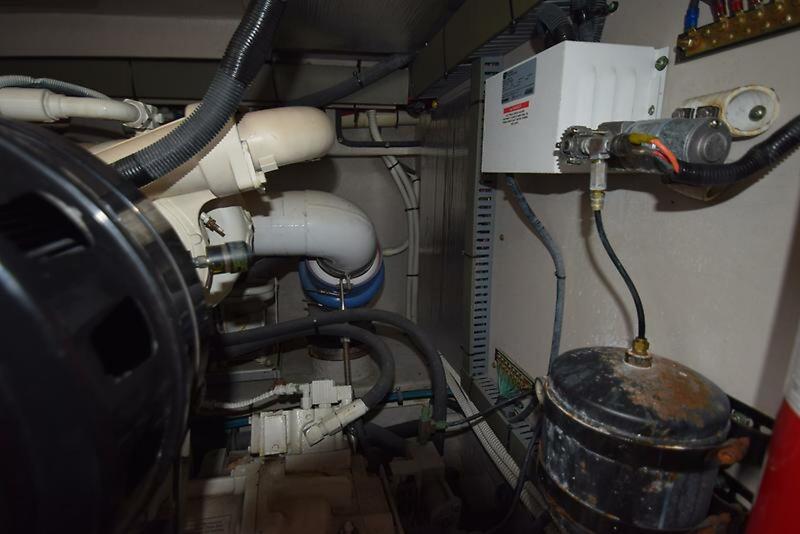 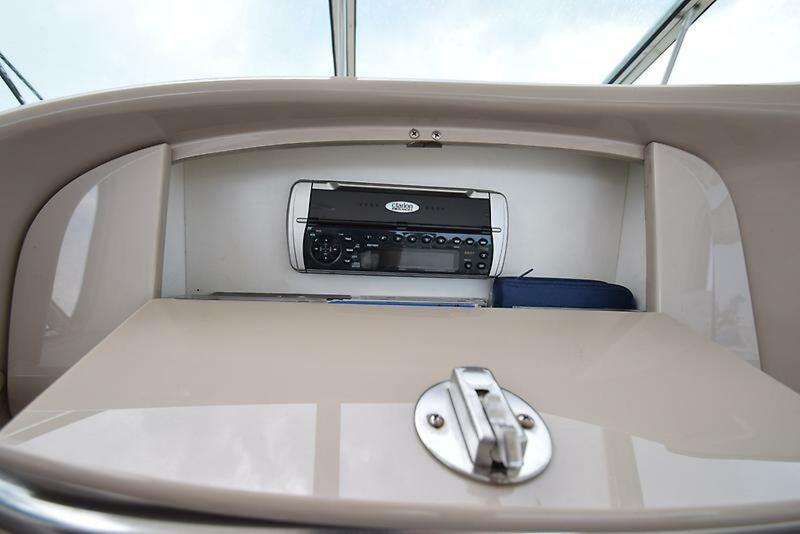 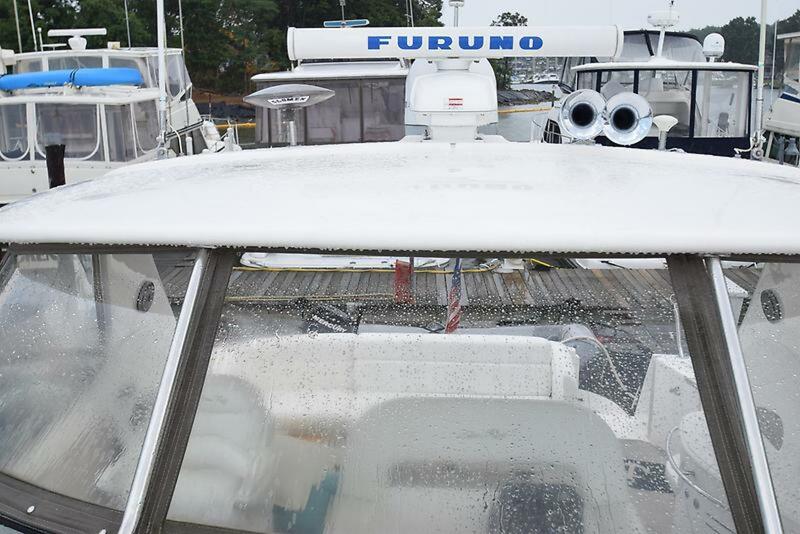 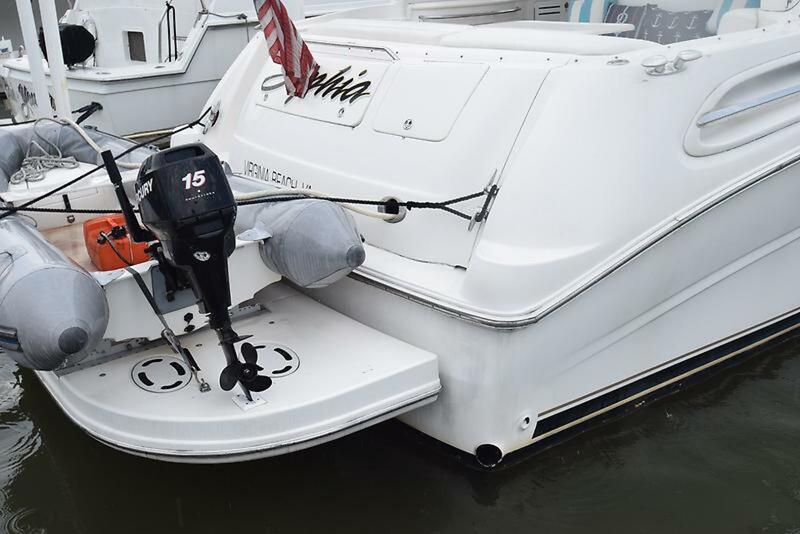 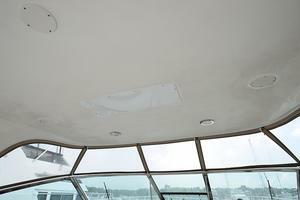 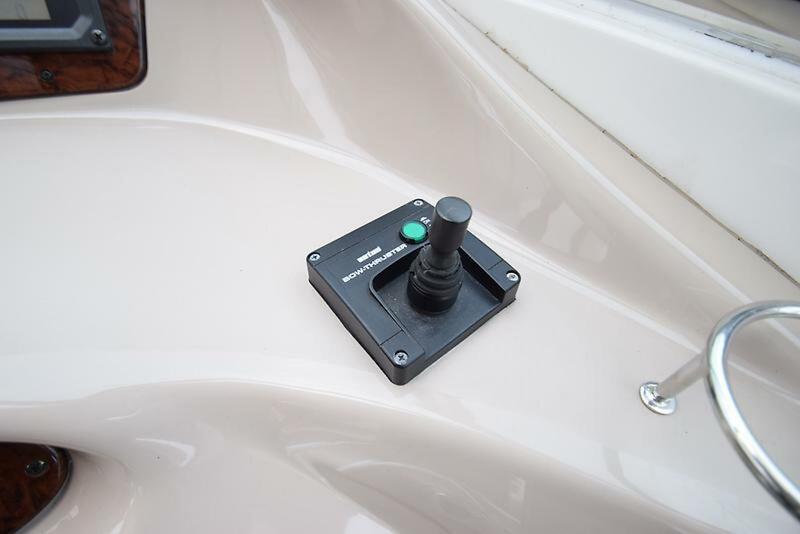 Additional features include a central vacuum system, underwater exhausts, and anchor washdown. 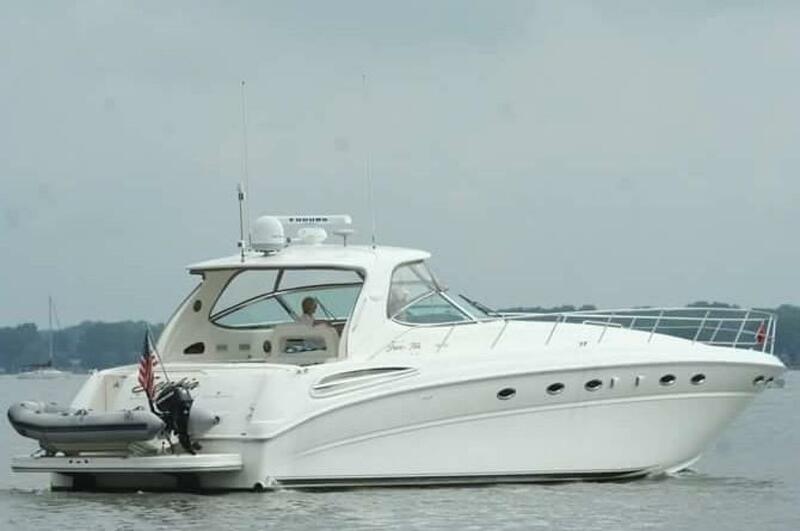 Twin 660hp Cats cruise the 510 Sundancer at 25 knots (about 30 knots top). 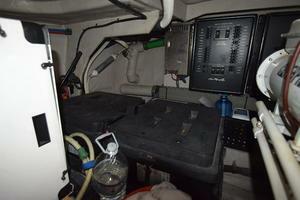 The bottom has been painted, zincs have been replaced, turbos rebuilt, and after coolers replaced. Come and get it!